Several years after releasing the Wii video games console, Nintendo now has a replacement, the Nintendo Wii U. The Nintendo Wii was first released in November 2006 and about half a decade later, Nintendo releases the Wii U, which is expected to be more fun to play, integrate better with your TV and latest technology that will enable Nintendo ward off competition from non-core gaming devices like tablets and smartphones. Like in previous generation gaming consoles, the Nintendo Wii U is cheaper than competing gaming consoles like Sony’s PS4 and Microsoft’s Xbox One. Nintendo Wii U is more than just a gaming console; it incorporates video chatting and video streaming and Pay TV services. Nintendo Wii U features state of the art hardware. It is powered by a multi-core IBM built processor with an AMD based Radeon based HD graphics processing unit for brilliant performance. It features two storage options; the basic Wii U set comes with 8GB flash memory while the Deluxe set offers 32GB flash memory. Nintendo Wii U introduces a new controller, the Wii U GamePad. The GamePad features a 6.2-inch touch display, motion sensors, NFC, front-facing camera, stylus, speakers, control buttons, and microphone. The Wii U GamePad offers new possibilities for gaming. You can use the Nintendo Wii U GamePad as a controller for playing games on your TV. You can use the control buttons, touch display, stylus, or motion gestures to control your games. You can also play your games directly on the Wii U GamePad. When playing games on TV the Wii U GamePad can provide an alternative perspective of the game. For example, while you may be looking at the main view of the game on the TV, the Nintendo Wii U GamePad can provide the aerial view, giving a more accurate picture of the relative distance between you and your enemies or objective(s). The Console set comes with one Wii U GamePad. If you need more, you can buy them separately. The Nintendo Wii U supports five players, one better than the Nintendo Wii. This means that more members of the family can join in the fun without one waiting in the sideline. However note that it will only support two Wii U GamePads. 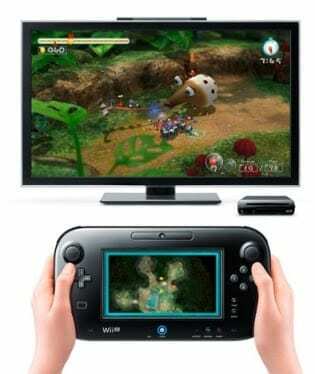 It will also support up to four Wii Remote or Wii Remote Plus, so you can use your existing Wii controllers. It can also support up to four Wii U Pro controllers. Nintendo Wii U will support almost all your existing Wii software, so you will not have to start all over. You can also play games online. Some games will also make use of the camera on the Wii U GamePad, providing AR gaming. Nintendo Wii U is more than just a gaming console, it is an entertainment hub for the whole family. You can video chat with the front facing camera on the Wii U GamePad. Nintendo will also be offering a video streaming and Pay TV service, called Nintendo TVii, that will allow users to watch movies and TV shows via their Nintendo Wii U set. It also features an internet browser, for surfing the web. Nintendo Wii U is currently available in the United States. It is also available in a couple of stores in Nigeria. The price of the Nintendo Wii U Basic is $299.99, while the Wii U Deluxe costs $349.99. Nintendo Wii U Price in Nigeria starts at around N80,000, you can buy at online stores in Nigeria.